This is a Summer elixir to use on face and/or body after sun exposure, to rejuvenate, calm and nourish the skin. 5 drops of rose: Rosa damascena; it regenerates skin cells and has a powerful effect on fine lines. It is the most feminine of all essential oils and has a very stimulating effect on libido, plus a toning effect on the heart. 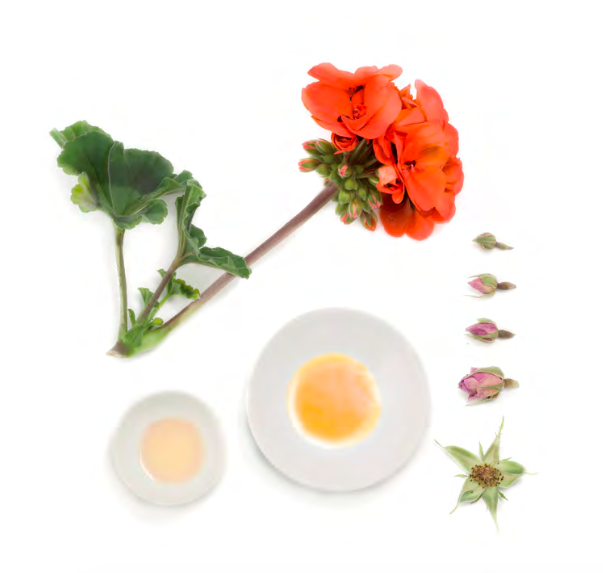 3 drops of geranium: Pelargonium graveolens; it has cleansing properties, stimulates blood flow and balances sebum.